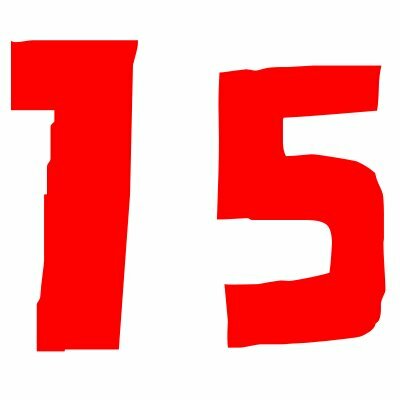 Fifteen things. In 2010 a man named Andrew Hyde gave away everything he owned except for fifteen things. He kept a pair of pants, 2 shirts, a pair of sandals, a pair of shorts and some underwear. Everything he owned on this earth fit into a small backpack. He did it in preparation for a trip around the world. He also did it to be free from the ties that bind us to the stuff that we own. He called what he did “an adventure in minimalism.” Now three years later he’s living in New York and now he owns around 60 things. Still. Can you imagine streamlining all your worldly possessions down to just 60 things? I probably own at least 60 pairs of shoes. Most of them black. I really can’t imagine living the way Mr. Hyde lives. I entered the Catholic Church thirty-six years ago this month and over the years I’ve been to confession countless times. I’ve had many more good confessors than bad ones. But this week something happened in confession that I’d never experienced before. I was visiting a parish while on vacation and using my iPhone confession app for the first time. By the way, I really like it. There’s a very thorough examination of conscience and it keeps track of the date of your last confession, which is something I always have trouble remembering. And it’s password-protected so if someone picks up your phone and starts rooting around there’s no chance they’ll come across your list of sins. But I digress. So I go into the confessional and take my place behind the grille. Yes, I’m old-fashioned that way. None of the face-to-face confessing for me. I make my confession and the priest is helpful with his questions and spiritual direction. I pray an Act of Contrition, letting God know my sorrow and my promise to do my best to avoid sinning in the future. When I was done, I waited. And waited. But the priest remained silent. He didn’t pray the words of absolution. Now of course I know that it’s God Who forgives me and not the priest. But it is the priest who shares the beautiful prayer of absolution. Only this priest didn’t. I always love this prayer. “God the Father of mercies through the death and resurrection of His Son has reconciled the world to Himself and sent the Holy Spirit among us for the forgiveness of sins; through the ministry of the Church may God give you pardon and peace, and I absolve you from your sins in the name of the Father and of the Son and of the Holy Spirit.” So I continue kneeling for a few more moments, and the priest finally says, “Hope you have a good evening.” I take that as my dismissal and say, “You, too, Father,” as I get up and leave. Hmmm. By the time I get to my car, I realize that I should have just asked the priest for the prayer of absolution. I guess I was kind of stunned and hadn’t wanted to offend him by pointing out that maybe he’d forgotten a really important part of the sacrament. I almost turned around and went back inside. But I didn’t. And as I drove away I thought perhaps I was making a big deal out of nothing. I mean, I’d done my part, right? 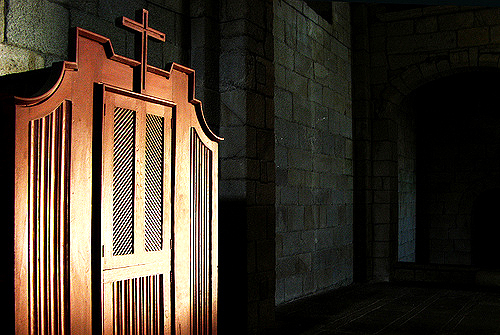 I had felt the Lord calling me to go to confession. I’d made a thorough examination of conscience (thanks to that new app) and I was truly sorry for my sins. I had driven to the church and confessed my sins to the priest. I’d prayed an act of contrition. It was up to the priest to do his part and share the prayer of absolution. The fact that he hadn’t prayed it wasn’t my fault, was it? God knew what was in my heart and what my intentions were. I was forgiven. Wasn’t I? If you aren’t Catholic you might not know the term “scrupulosity.” It means to worry too much about the letter of the law. When you’re scrupulous you are usually too hard on yourself and you use rules and regulations to try and put God in a box. It’s a sin. Was I being scrupulous? Was I worrying over much about the prayer I didn’t hear? I didn’t want to. I just wanted to know for sure that I’d made a valid confession. So the next morning I called a priest friend and explained the situation to him. He lives in another city or I’d have just dropped in to see him for a “do-over.” He told me, “Don’t worry. You’re covered. But if it would make you feel better, I’ll pray absolution right now.” And he did. I heard the beautiful words of mercy over the phone. Don’t get me wrong. I know he was praying to make me feel better. But he and I both know that you can’t make your confession over the phone. A valid confession requires that the priest and the penitent be with one another even if they’re separated by the grille. So did hearing him pray make me feel better? Not really. I’m realizing that confession isn’t so much about warm and fuzzy feelings, but is, in fact, about forgiveness. I’ve done a little research and talked with some fellow Catholics since my confession and evidently my experience isn’t all that uncommon. It seems there are more than a few priests who don’t exactly go by the book in the confessional. It might not be unusual to hear a “different” prayer of absolution or, as in my case, to hear none at all. Evidently this most private of sacraments is being freelanced. If you’re reading this and you’re a priest, let me just say: stop it! It’s hard enough going to confession and telling you all my sins. I’m there to beg for God’s mercy and forgiveness. Don’t make me have to wonder “what just happened here?” by making up your own prayers or forgetting what it is that you’re there for. Tell me that God has forgiven my sins. Let me know for certain. Pray those beautiful words of absolution over me. Let me have no doubt that God’s sweet mercy has erased my sins. Tell me that God has given me pardon and peace. I need that. I need His peace. Please don’t send me away from confession unsure if my sins have been forgiven. Every sinner in every confessional is seeking mercy. BE THAT MERCY, Father. I know you’re busy. I know your schedule is packed. I appreciate that and I thank God for your vocation and your service. I pray for you and I pray there will be more men like you who are willing to answer God’s call. But in the confessional, during those moments we’re together, please take the time to do it by the book. I count on you. I depend on your faithfulness to the teachings of Christ and His Church to help me make it through this world. In the end, I went to another priest in another parish a couple of days later. I explained the whole story to him. I made a new confession and he was very understanding. When I heard him pray the words of absolution, I knew without a doubt that I’d been forgiven. And that’s what confession is for. It’s been a rough few years to be an American Catholic. If by “rough” you mean what’s been covered in the media. We’ve endured the sexual abuse scandals and we’re still healing from them. Parishes and Catholic schools, especially in the north, have been forced to close or consolidate. Our own federal government is attempting to force our Church to pay for abortions and artificial birth control—both of which violate our teachings and beliefs. Some women want to be ordained as priests. The LGBT community, which has won civil lawsuits concerning the definition of marriage, is outspoken (and sometimes violent) in their protests against our beliefs on family life. 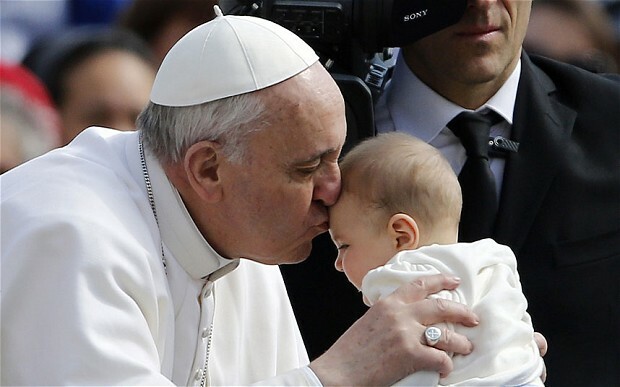 Many high-profile American Catholics (think Joe Biden, Nancy Pelosi or Madonna) are strong supporters of abortion even though that goes against centuries of Church teaching. There’s a growing division in our country between liberal Catholics and conservative Catholics, much like the red state/blue state division in our political lives. Thankfully there’s so much more to the Catholic Church than what’s reported in the mainstream media. And our Church is much, much larger than just the United States. Despite the media’s consistent doom-and-gloom drumbeat reporting on the declining state of the Church, reality proves She’s alive and well. This shouldn’t be a surprise to anyone who reads and believes Holy Scripture: “…the gates of hell shall not prevail against it” (Matthew 16:18). Last week in Rio de Janeiro, more than 3 million young Catholics from around the world gathered to pray with Pope Francis. The number of Catholics in the world continues to grow. In Africa the growth rate is amazing: an increase of 6000% in the last century. The number of seminaries and priests in Africa has blossomed to keep up. In Asia, the number of Catholics has doubled in the last century. While the number of priests worldwide declined from 1970 to 2000, that number is now steadily on the rise. If there’s a real vocations story in the Catholic Church it’s not a story of decline, but of recovery. Here in the Archdiocese of Atlanta we have 36 men studying for the priesthood in our part of north Georgia. Religious communities and convents are also experiencing greater numbers of interested men and women. Here in the South, most Catholics have heard of the Dominican Sisters of St. Cecilia or as they’re better known, “the Nashville Dominicans.” These women teach in parochial schools and wear traditional habits. There are now more than 300 of them with 27 women joining just last year. Their average age is 36, which is quite young. So what’s going on in the developing world and in places like Atlanta and Nashville? What’s attracting more and more people to fully live their Catholic faith with such joy and commitment? 1) Parish life is centered on the Sacraments. You don’t need fancy multi-media Masses and rock music. You DO need liturgies celebrated with reverence and dignity. You need Adoration of the Blessed Sacrament. You need pastors and catechists willing to teach the truth of our faith without compromise. If our young people know the Real Presence of Christ in the Eucharist they’ll be joyful, lifelong Catholics. 2) Confession is offered before Mass and at several other times during the week, not just on Saturday afternoons. Penance is the love, mercy and forgiveness of God and needs to be available when folks can come and not just at a time which may be convenient for the priest. We love our priests, but we need more of them to think “inside the box” in this case. 3) Pastors and priests live their vocations joyfully and are great examples of answering God’s call of love and service. They talk to young people about their vocations and invite them to consider a religious vocation. 4) Our Christian calling extends beyond the walls of our parish church. Look at your parish ministries. How many of them exist mainly to serve the parish? How many of them reach out to serve your community? The poor, the immigrant, the imprisoned, the families struggling to make ends meet, the unwed expectant mom who might be thinking about an abortion: these are our neighbors whom Jesus calls us to love and to serve. If we center our parish life on the Sacraments, on service, and on sacrifice, we won’t be able to build new schools, new churches and new seminaries fast enough to keep up. What a wonderful set of “problems” to have!